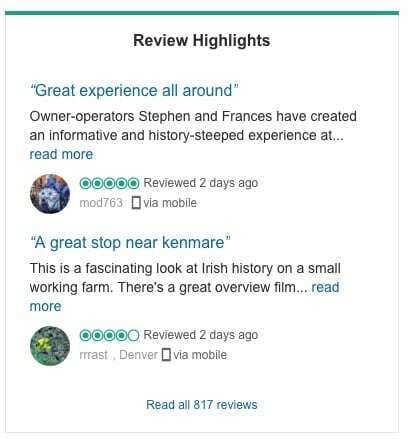 Come and enjoy one of our guided tours where we will bring you back in time on a journey through Molly Gallivan’s Cottage & Traditional Farm. 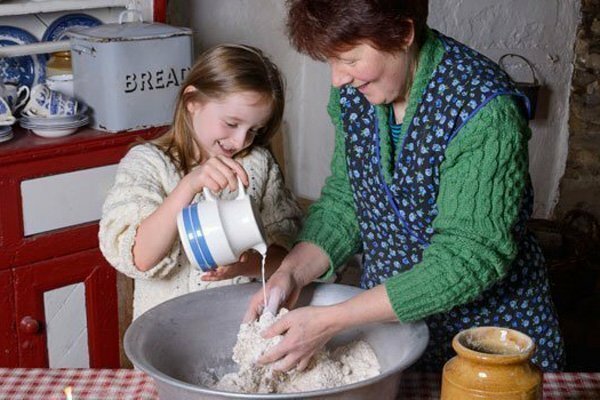 When visiting Molly’s cottage you will experience the traditional craft of Irish soda bread making which was baked over the open fire and learn how they used to make the butter many years ago. We will then guide you through Molly’s Traditional farm and where you can view the traditional farm machinery. You can see the various points of interest such as the lime kiln, the well and the farm yard along the way. 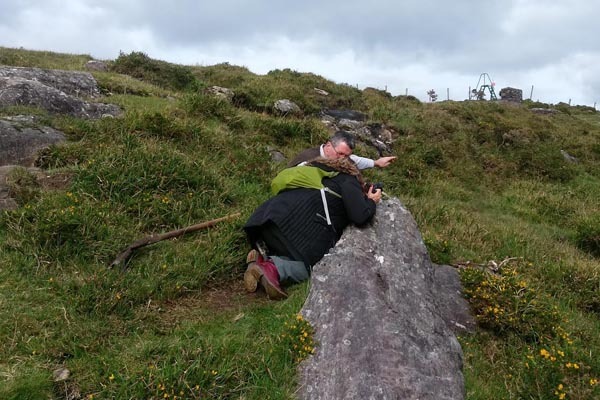 Our guides will explain in detail the historical and astronomical significance associated with the Neolithic Stone Row on the farm. 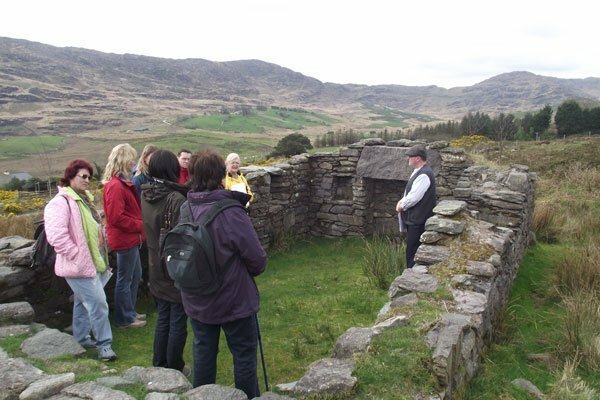 We will guide you through the relics and related stories connected with the famine ruins. 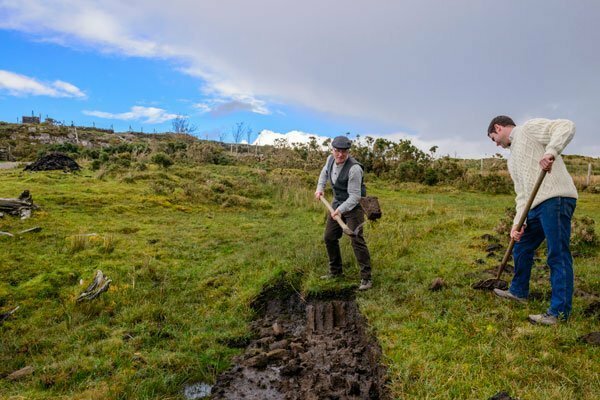 On Molly’s Farm we will show you how they used to cut the turf (peat) using only hand tools called slanes. 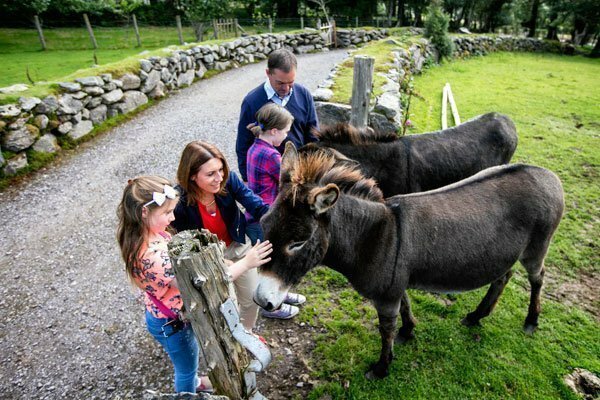 Enjoy meeting our friendly animals along the way. 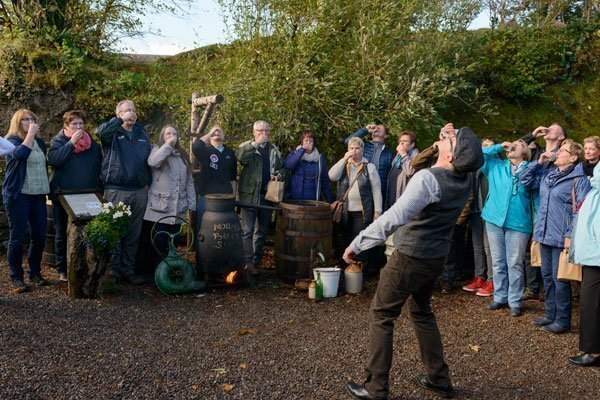 End your tour with our wild Irish Poitin (Whiskey) making and tasting demonstration at Molly Gallivan’s Poitin Still. Prices: €12 per person. Under 12’s half price. Please note that pre-booking is essential for our guided tours. Please contact us here to book and for further information.